Experience the beauty of block printing on fabric with an ink that works just as well on fabric as it does on paper. 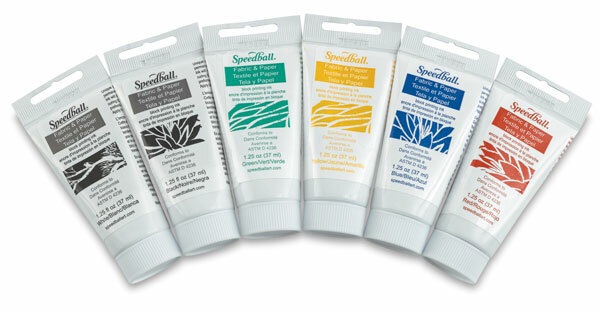 Speedball Fabric and Paper Block Printing Ink is an oil-based ink that provides bold, opaque color that is permanent yet cleans up easily with soap and water. This set contains six 1.25 oz (37 ml) tubes of color, including one each of Red, Blue, Yellow, Green, Black, and White.